A petition has been filed in the Supreme Court against the publication of Malayalam novel "Meesha" alleging that it depicted temple going Hindu women in derogatory light. The novel by S. Harish was being published in a serialized form in a Malayalam periodical "Mathrubhumi". The part of the novel published in the second week of July had created controversy for the comments uttered by a character, which were allegedly derogatory to temple going women. On Tuesday Advocate Usha Nandini mentioned the matter before the Chief Justice of India and CJI agreed to hear the case Tomorrow. The petitioner, N.Radhakrishnan, a resident of Delhi, has taken objection to a dialogue between two characters of the novel, which allegedly insulted temple going women. It is also alleged that the comments of the author about Brahmins who perform puja in the temple amounted to casteist/racial slur. The petitioner also alleged that the Kerala Government did not take necessary steps to stop publication, online sale and dissemination of the novel. be the ultimate outcome, if the apex Court examine the contents of the writings and test the conduct of the State Government through its judicial eye., the petition stated. The observations of the Supreme Court in Subramanian Swamy Vs Union of India that “right to free speech cannot mean that a citizen can defame the other. Protection of reputation is a fundamental right. It is also a human right. Cumulatively it serves the social interest" are relied on by the petitioner. The petitioner also adds that if governments fail to take appropriate action in such situations, it would indirectly invite the public to react and "it wouldn't far of to see a ‘Charlie Hebdo’ kind of backlash in India". Hence the petition urges the Court to lay down guidelines to regulate those who control/manage/publish media platforms including but not limited to print, electronic,social media from publishing or propagating such insensitive, incriminating or defamatory articles which would disrupt the peaceful co existence of various communities and religions in the country. The petitioner also stated that it was necessary to lay guidelines to "ensure that no person under the guise of freedom of speech and expression as envisaged under the Constitution be permitted to meddle with the communal fabric of the nation and fix responsibility for such work on the person or medium promoting or propagating such materials". The petition seeks direction to seize all the copies of Mathrubhumi Weekly Volume-2 dated 11.07.2018 in which the contentious part was published, and also to stop the further publication of the novel. 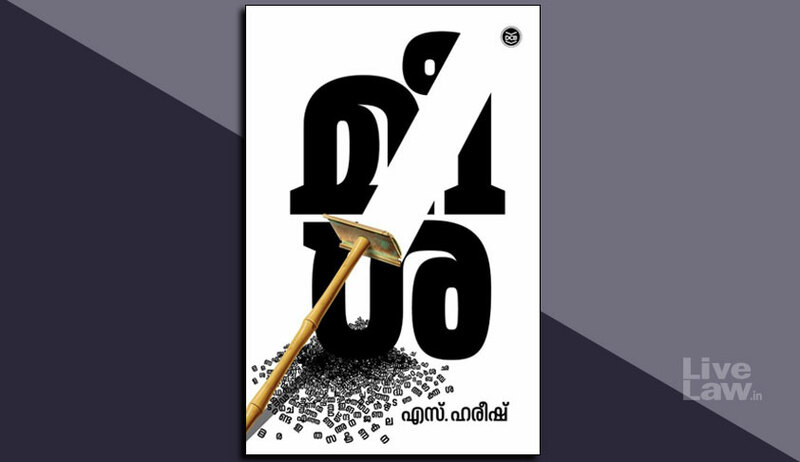 The publication of subsequent parts of the novel in Mathrubhumi was discontinued following the controversy.